Pre-Apprenticeship Program - Pyramid Construction Services, Inc.
Pre-apprenticeship programs give students access to valuable career training. Pyramid knows there is a demand for skilled labor. Carpentry skill are often in need. Electricians, drywall and framing contractors and HVAC technicians are also in short supply. 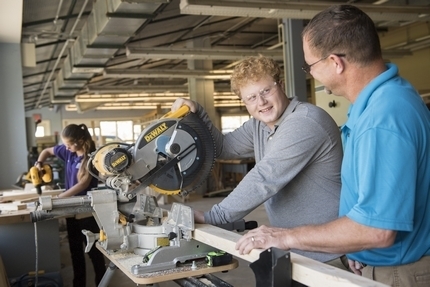 Subsequently, we look to the future of our industry by introducing students to career options in the trades. For instance, we do work site visits for high school students currently studying the trades. Most importantly, we keep in touch with the next generation. The partnership with The Milton Hershey School provides an opportunity to work with students directly. This program helps Pyramid hire pre-apprenticeship students. After that, they would participate in an adult apprenticeship program. Thanks to Jason Scott and the Central Penn Business Journal for this article.